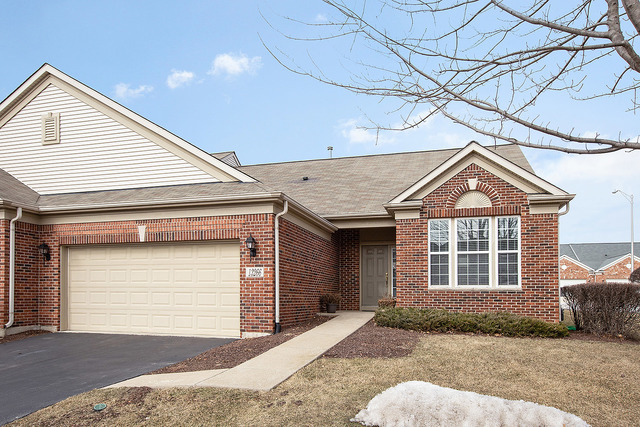 BEAUTIFUL ONE LEVEL BRICK RANCH TOWNHOME IN SOUTHMOOR&apos;S GATED COMMUNITY! IN-UNIT FEATURES INCLUDE 2 BDRM, 2 BTH. SPACIOUS KITCHEN W/MAPLE CABINETS,CAMBRIA COUNTERS & LARGE PANTRY! FAMILY RM W/VAULTED CEILINGS & CORNER FIREPLACE. KITCHEN EATING AREA HAS SLIDING DOORS LEADING TO PATIO. LARGE MASTER BEDROOM W/WALK-IN CLOSET MSTR BATH W/DOUBLE SINK, TUB & SEP. SHOWER. FULL BASEMENT. 2 CAR ATTCHD GAR. HANDICAP ACCESSIBLE.